In Why Iris Murdoch Matters Gary Browning draws on as yet unpublished archival material to present an unrivalled overview of Murdoch's work and thought. Browning argues for Murdoch's position amongst the key theorists of modern life, and discusses in detail her engagement with the notion of late modernity. Her multiple perspectives on art, philosophy, religion, politics and the self all relate to how she understands the nature of late modernity. Browning lucidly illustrates that through both her thought and fiction we can grasp the significance of issues that remain of paramount importance today: the possibilities of a moral life without foundations, the meaning of philosophy in a post-metaphysical age, the prospects of politics without ideological certainties and the significance of art after realism. 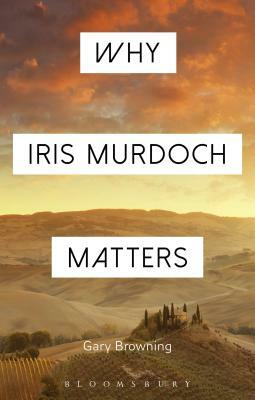 A totally original work arguing persuasively that Iris Murdoch not only matters but is absolutely central to how we think through the contemporary age. Gary Browning is Professor of Politics at Oxford Brookes University, UK where he is also Dean for Research in the Faculty of Humanities & Social Sciences.